Very prompt service late in the day and the fact that the team exceeded my expectations. The service was very prompt and courteous. Got the parts we needed for our elderly but really useful estate and did the work quickly. Staff friendly and helpful. Quick, friendly and efficient service at a good price. Quick courteous service, good price. I have dealt wth the Winchester Branch for many years and always found them helpful and efficient. Really helpful, and know what there are talking about, I went there with my openreach van first and on the back of that went there with my personal car. Superb service,helpful staff, perfect transaction! Friendly, helpful staff who acknowledge me as a regular customer. Good service/prices/local. Friendly staff who give informative advice and provide a quick service. Excellent service, quality products, reasonable prices. Excellent service from able team of mechanics. They replaced by battery with one day's notice . Quick ,efficient & excelent value. Good friendly service & customer focus. A very well managed centre. Well done. Cannot really fault but the reason for my visit was to replace a punctured tyre that I had changed that morning myself whilst at home (slow puncture due to penetration by a highway debris screw). I have not had a puncture for many years and in changing the wheel I found that a dedicated plastic tweezer type tool provided in the car toolkit was vital in removing the nut covers. Your technician requested the security socket which I gave him, together with the tweezer tool. On completion of the job he handed back to me the socket but I had to remind him that the tweezers were still on the workshop floor with some other workshop tools (i.e. not my tools) and some debris. "Oh, are those yours?" he said. This was very sloppy and if I had not been 'on the ball' I could have left your workshop with my car manufacturer's wheel changing toolkit being minus them. If I had had another puncture, especially at a remote location, I would have been unable to remove the nuts, or could have done so only with extreme difficulty because I would not have been able to get the plastic covers off. Quick and helpful service. Good value. Friendly helpful staff giving a high standard of service. Advice and service was qyick, efficient and accurate. polite- good advice- good price and finished on time ! Excellent service !! friendly helpful service and a good job done. All at a reasonable price. Helpful reception staff giving good telephone and face-to-face impartial advice regarding tyre options and prices seemed reasonable. All options had multiple tyres in stock. Also offered to do a small job free of charge (re wiper) [note - but I did buy 4 tyres]. OIL SERVICE AT WINCHESTER. GOOD EFFICIENT SERVICE. Good service good price and quick book in time. Quick service, waiting time was accurate. Premises were clean. Link between internet purchase was good; we were expected. I have used this centre before and was again very pleased with the service I received today. Very quick and efficient, good price. Fantastic service, friendly staff, competitive pricing! Good efficient service at a competitive price.Simon At the Winchester branch is and has been excellent for years, he does your company credit, you should value him very highly. Helpful. Didn't have battery in stock, but said when it would be in. Great friendly service, my second visit I just can't fault them. Given great advise by the fitter. Tim the manager could not have been more helpful and his care in fitting the new tyres to my newly refurbished alloys was second to none. Competent friendly service at a competitive price. Convenient service - very accessible - helpful staff. The center staff are always helpful offer great advice and service , I don't have to look for the best deal as it's always offered. The guys here are very friendly and provide an excellent service. Nothing is too much trouble. I would highly recommend them and I congratulate them on such a fantastic service, keep it up! Happy with the service. Friendly down to earth helpful staff. The whole experience was great. Good advice, excellent prices, and very pleasant and helpful staff. They are opposite our office. The manager remembers me and is very professional. Turned up left the car as promised 30 mins later tyre changed job done! Good price, fast service and good advice without being to pushy. Very helpful staff who analysed the damaged tyre and provided sound advice and quickly fitted a replacement. I considered the quality and speed of service was excellent. The courteous advice and guidance offered by the staff (particularly Tim Hurst) was appreciated. Very good prices and service. Staff here are always polite and friendly. Good value tyres (purchased from tyreshopper and fitted at National), fitted speedily at a convenient time. Excellent quick service by the winchester branch. Excellent, prompt service. Reasonable choice of products. Speed and efficiency with which work was carried out. Good job at fair price. I live very close to the Winchester service and have used them for many years. The staff are always very helpful and friendly. I don't bother trying anyone else. Booked on line and on arrival straightforward speedy response from staff to get my tyres changed. Good price & service when you were able to fit me in! i always get a good service from you. The branch I went to was convenient and the staff were friendly and helpful. I felt that I received good value for money. Good service, friendly staff. I was able to look under my car while it was on the ramp. Friebly,efficient and prompt service. Also good value. Prompt and efficient diagnosis and repair. Pleased with the work carried out and the advice given. 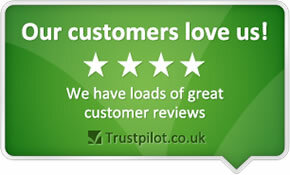 Work was carried out very quickly and at a good price and the staff were helpful and informative. Information and price also given for possible further work. Convenient site in city. Fast, friendly service: always willing to provide a good service. The price was very competitive and staff helpful. Couteous, efficient and clear helpful advice unlike Kwikfit who only wanted to tell me everything needed to be replaced at a huge cost!